Jesse Pinkman, from Breaking Bad. Mostly watercolor, with some acrylic and pastel. Jesse Pinkman, de Breaking Bad. Principalmente acuarela, con algunos toques de acrílico y pastel. 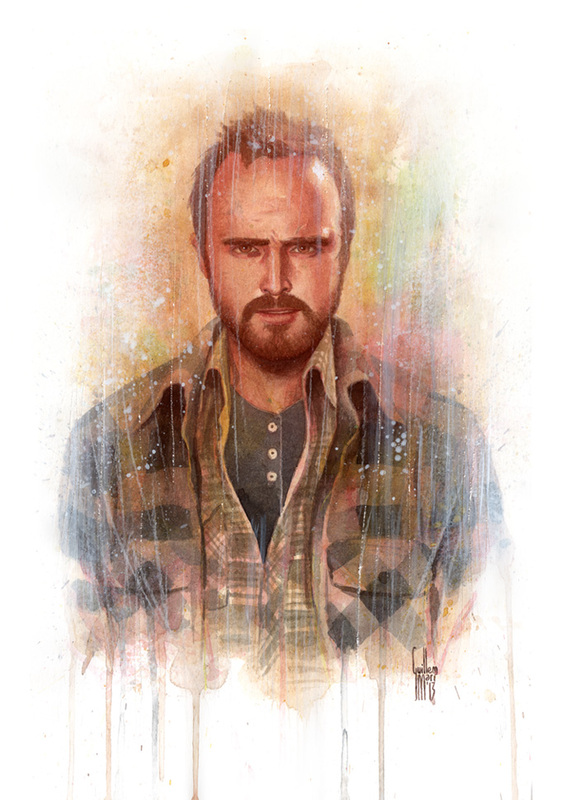 · Jesse: You either run from things, or you face them, Mr. White. · Walt: And what exactly does that mean? · Jesse: I learned it in rehab. It’s all about accepting who you really are. I accept who I am. · Walt: And who are you? · Jesse: I’m the bad guy. This reminds me a little of scad graduate illustrator Sam Spratt. Really cool.